Don’t miss our Christmas Party Night with 4th Avenue! 4th Avenue have been compared to The Overtones due to their vocal range, slick routines and great cover versions of classic songs, the idea was simple, choose some of the most iconic songs spanning a variety of genres and decades, stay true to the melody and incorporate rich harmonies to create a unique sound. Their show contains a jammed pack set of guaranteed dance floor fillers, from Iconic Motown acts like The Drifters & The Temptations, a great selection of Medleys from Happy Days, Cheers & Frankie Valli & The Four Seasons. 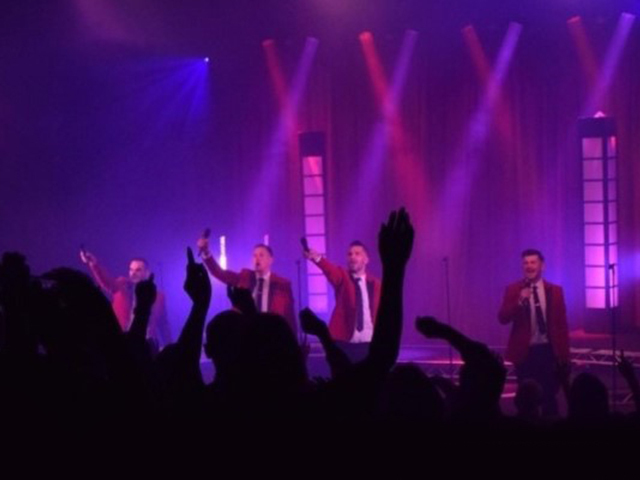 They do The Overtones proud with Bare Necessities – I wanna be like you & then add a splash of modern day acts like Bruno Mars to finish it all off with a bang.